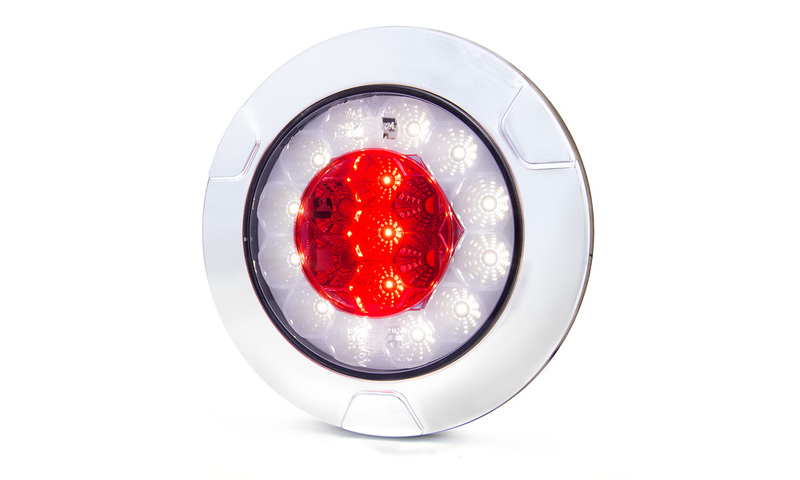 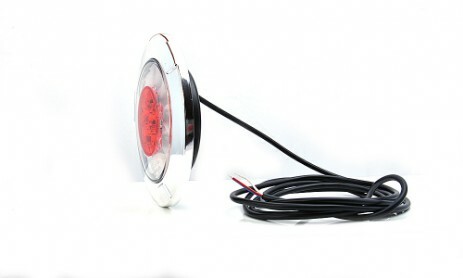 The 1092 is a modern 15 LED rear light unit which is characterized by its attractive design and low power consumption. Two types of lights: the reversing and fog, are concentrated in a single lamp in the shape of a honeycomb, harmoniously contained within a chrome ring with a diameter of 152mm. 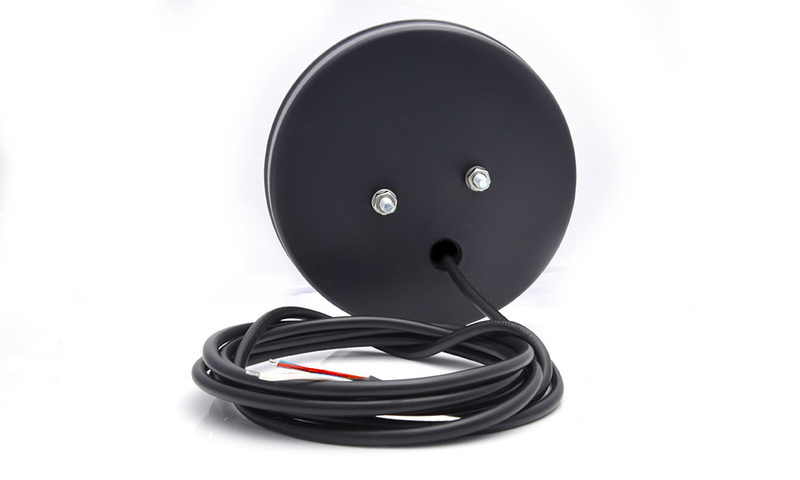 The lamp can work at 12V and 24V operating voltages, has an EMC approval and IP protection 66/68.